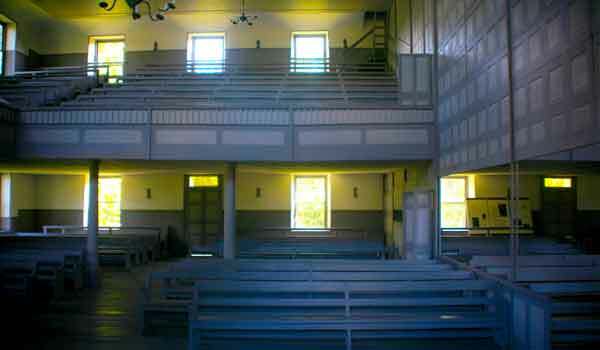 Not far from Steubenville is the small town of Mount Pleasant where you can visit the quaint Quaker village and Quaker Meeting House that seats 2,000 people. By 1816, Mount Pleasant had earned a reputation among fugitive slaves as a town where they would be welcomed. The Quakers who lived in the village helped Mount Pleasant become a center of antislavery activity. Many of the residents here used their homes as Underground Railroad safe houses. 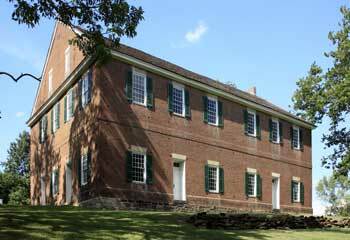 The Quaker Meeting house is a 3-story brick building which was erected in Mount Pleasant in 1814 and was the first yearly Quaker meeting house west of the Alleghenies. The Quakers that first moved into the area, thought that Mount Pleasant would become a large city and the headquarters for their faith. For a time it looked like this might be the case, but when the National Road was constructed to the south, thus by-passing the growing town, the fate of the community was sealed. This may have been unfortunate for the founders of Mount Pleasant, it was a blessing for historic preservation. With the National Road bypassing the town, the Ohio and Erie Canal bypassing the town, and the railroads bypassing the town, the town remained mostly unchanged from the time of its founding. Many of the buildings standing in Mount Pleasant Historic District today are the same as they were 200 years ago. The Historic District was designated as a National Historic Landmark in 2005. Quakers have no established creed, they do follow a set of guiding principles known as the testimonies. Concepts such as equality, peace, simplicity and integrity form the basis of these testimonies. George Fox is credited with founding the Religious Society of Friends in England in 1648.